Making waves in the world of internet news this week is the decision by Google to close down its Russian offices and leave the country. A lot of people have questions as to what this will mean for both the search engine giant and the future of internet in the country. Why exactly is Google making this decision? 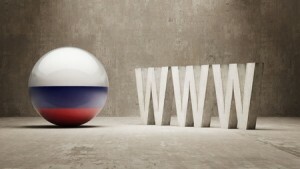 Earlier this year, the Russian parliament passed a sweeping bill that declared that all data collected from Russian users – whether that be search or social media – must be stored on servers within the country. Sites such as Google commonly aggregate user data from multiple countries and store them in various locations around the world, depending on where their data servers are located. Why have these changes been made? Russian officials believe that the security of the Russian people’s data is ultimately a positive trend in the world of data storage, or at least, that is what was said. Some of the other justifications given were that this will minimize the likelihood of Russian data being subjected to foreign spies. Industry analysts, however, believe this is primarily being done in a way to further exert control over the internet within the country’s boundaries. With the Russian government capable of pinging servers for information requests – and with all Russian users’ data being stored within the country – there will be few cases in which government officials won’t be able to monitor internet traffic and browsing habits in a concerted fashion. Originally, these changes were not supposed to occur until September 2016. Recent modifications to the legislation, however, have moved that date up to January 2015. Google has likewise decided to close its engineering office in Russia before the data, in a way to not have to comply with the new regulations and also in a sign of protest. Many other tech companies have made similar moves within the past two months. There have been a number of similar inconvenient laws popping up across the European continent in recent months, making Google worried about how to balance its presence in Europe. For instance, the European Parliament recently voted to break up Google’s European endeavours into multiple entities, citing Google as being too big to be allowed to continue as-is. Another issue comes from Spain, in which a new copyright law now requires outside sources like Google News to pay a fee every time they show articles from publications like newspapers that are based in Spain. In response to this, Google is now formally distancing itself from the country. Germany also attempted to make moves similar to Spain in recent months, but ultimately reversed their decision. Why? Because most major news sites suddenly were losing half or more of their indirect traffic via the changes. It would seem that a similar fate may be awaiting Spanish news outlets and media sources, as pinging servers that belong to Google with your content is a major boost for traffic in almost all cases.